How can pharma help the NHS achieve Parity of Esteem in mental health? Mental illnesses are extremely common: one in four British adults will suffer at least one mental health disorder in any given year; 1.2 million people in England have a learning disability and more than one million people will have dementia by 2021. People with mental health problems have a significantly different level of contact with physical health services compared with other patients; they are more likely to access hospital services and more likely to arrive at A&E by ambulance. Ensuring that mental health is given the same priority as physical health is key to tackling such problems, and it is now a key government priority, driven by NHS England's Parity of Esteem (PoE) Programme. The Programme, which was originally enshrined in the Government's Health and Social Care Act 2012, is now a key element of its Five Year Forward View for Mental Health for the NHS in England (MH5YFV). Some vanguards have been exploring PoE issues. For example, one group is currently investigating the connection between mental health and Medically Unexplained Symptoms. 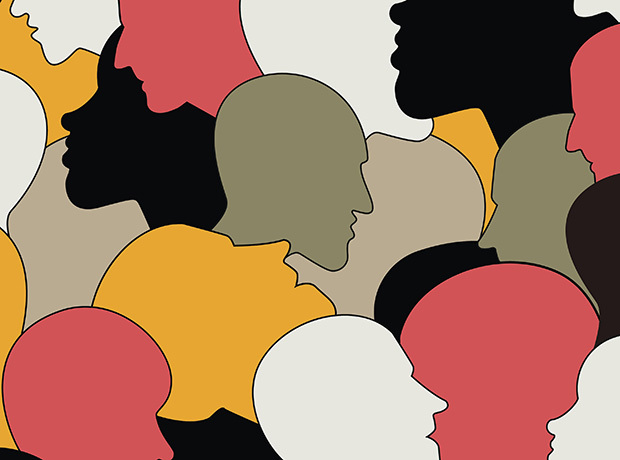 Another vanguard has created a multidisciplinary, multi-agency team to review mental health policy and strategy to identify why patients become 'repeat attendees'. This is helping stakeholders to understand the relationship between mental and physical health, and social standing. While it is widely accepted that physical and mental health problems often go hand in hand, they tend to be treated in isolation by healthcare professionals. For example, many patients with long-term physical conditions also suffer from mental health problems. However, mental health reviews are not routinely conducted among these patients. Joined-up working between the NHS, police and social services is also essential. If the NHS could identify those at the highest risk of suffering a serious mental health episode, such as a schizophrenic attack, and then share their details with social services and the police, these individuals would be more likely to get the help they need in the event of a problem. The cash-strapped NHS has a culture of prescribing the cheapest drugs. Pharma needs to convince commissioners and providers of the value of alternative mental health drugs, which may be more expensive to buy, but will save money in the long-run because they are proven to have fewer side effects and will give patients a better quality of life. For example, Lundbeck is currently working with NHiS to develop a 'Depression Dashboard' to reveal the burden of depression across the NHS – from primary and secondary care to mental health services and secondary acute care. The dashboard, which uses mental health and learning disabilities datasets, will help the NHS to analyse current outcomes and the cost of managing patients with depression. It will also highlight opportunities to improve patient care and outcomes in this area. Meanwhile, Janssen is working with NHiS on a 'Mental Health Dashboard'. The project involves an analysis of Hospital Episode Statistics and the Mental Health and Learning Disability Data sets to assess current outcomes for patients with schizophrenia and the cost of managing them. The dashboard will help the NHS to better understand the current and future burden of this cohort of patients if they are managed in the existing way, and to see variations in service provision. It will also highlight opportunities to improve outcomes in line with new models of care, detailed in the 5YFV. Pharma has a major role to play in helping the NHS to achieve this key commissioning priority. To help improve treatments and outcomes, pharma could: fund research and conduct clinical trials to further explore the side effects of drugs; educate commissioners and providers on the efficacy and long-term savings that can be generated from specific drugs, and provide support on adherence. In addition, the industry can harness the power of data to help the NHS identify trends and opportunities to make a real difference to patient care and outcomes.